The American Academy of Neurology published a study on April 18, 2018 that evaluates the risk of developing Parkinson’s disease (PD) in the aftermath of a traumatic brain injury (TBI). The study sample consisted of 325,870 patients served by the Veterans Health Administration (VHA). The timeframe covered by the study involved patients in the VHA database who were diagnosed with a TBI between October 2002 and September 2014. The results of the study revealed that a higher incidence of Parkinson’s disease occurred in those who suffered a TBI as opposed to those with no TBI. Additionally, the authors of the study found that patients with mild TBI (mTBI) had a 56% greater risk of developing the disease. Among the original patients, almost half had been diagnosed with traumatic brain injuries. Nearly 1,500 were diagnosed with Parkinson’s disease after they received follow-up examinations. 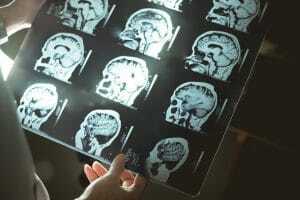 Although the term “mild” seems to significantly lessen the impact of this type of traumatic brain injury, the fact is that victims of mTBI encounter many of the same difficulties as those who have suffered more serious forms of TBI. Often, a person diagnosed with an mTBI may not feel the need to seek medical care at the outset. However, these individuals may suffer any number of physical or cognitive challenges. Mild forms of traumatic brain injury are the types of injuries that insurance companies in Georgia may seek to significantly underpay regarding damages. Insurers may take advantage of the term “mild” and use it as evidence that the injury is not serious enough to merit the requested compensation. However, victims of mTBI can face long-term financial challenges due to medical expenses, as well as difficulties in maintaining consistent employment. Having knowledgeable and effective legal counsel is of vital importance for anyone who has suffered a traumatic brain injury. It is important to obtain legal representation before attempting to communicate with an insurance company about your traumatic brain injury. An insurer may attempt to pressure you into a settlement that is less than just compensation for your injuries. Don’t allow an insurance company to persuade you that you are saving money by not paying a lawyer. If you or a loved one has experienced any form of traumatic brain injury, the legal team at Harris Lowry Manton LLP can help. You can count on us to fight vigorously on your behalf to help you secure the compensation you deserve. We serve our personal injury clients on a contingency basis, which means you don’t have to pay any money up front. To set up a free case evaluation, call us in Atlanta at 404.998.8847, in Savannah at 912.417.3774. Or, simply fill out our contact form.